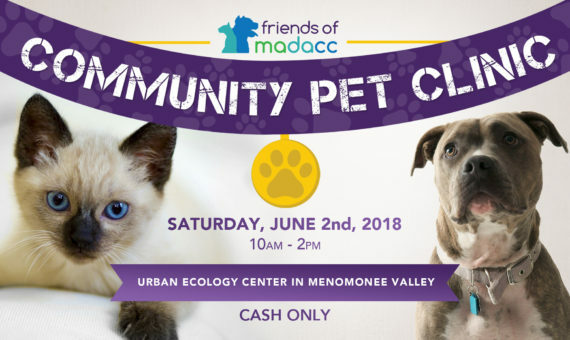 Join Friends of MADACC and the Urban Ecology Center for a low-cost pet clinic in Milwaukee! Services are cash only and food and drink will be available for our cat, dog, and human attendees. Spay/neuter vouchers for pit bull type dogs and cats are available. Follow the Facebook Event Page for up-to-date information.